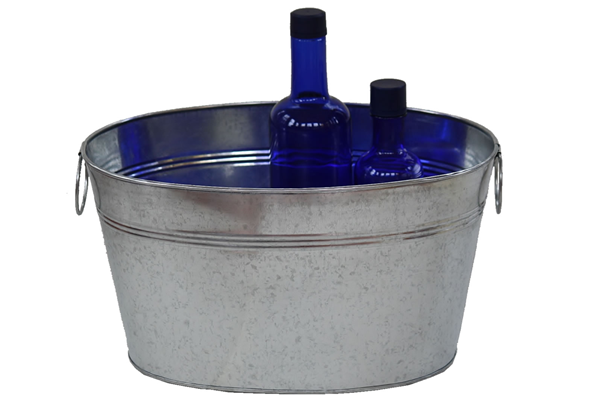 This attractive metal tub can be filled with ice and drinks to make a functional decoration at your next wedding, birthday party, cookout, tailgate, or potluck. This metal tub holds 7 standard beverages. It can also be used to store soccer balls, footballs, and other outdoor toys. Additionally, it can be placed in a children's playroom or library to add rustic flair along with organizational perfection. We also offer a wider tub to best suit your needs.